rangers who risk their lives to protect and conserve natural resources do not go unnoticed. They were acknowledged, celebrated and rewarded. Field Rangers Day paid tribute to the current and past generations of rangers from all districts of the Eastern Cape, at Thomas Baines Nature Reserve on Friday 18 August 18. 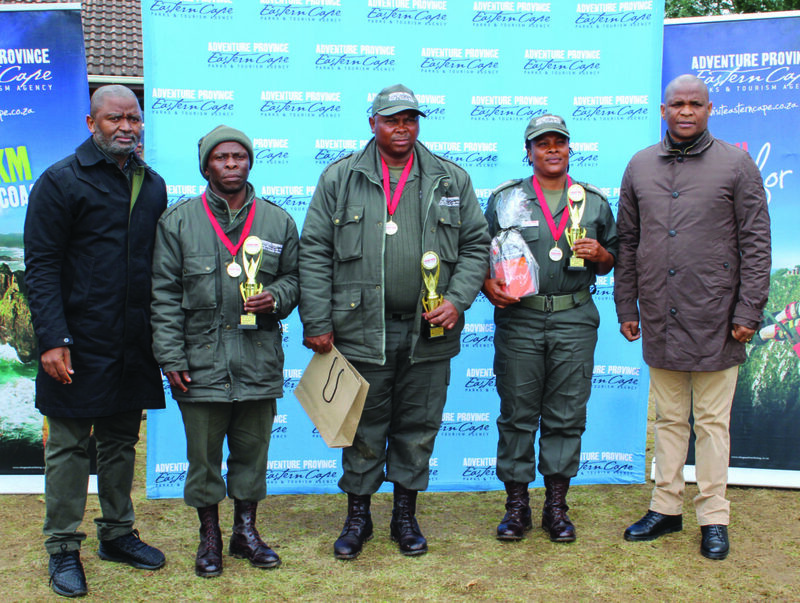 The ECPTA’S Chief Executive Officer Vuyani Dayimani, and MEC (Economic Development, Environmental Affairs and Tourism) Sakhumzi Somyo were in attendance to personally show support and give a message of hope to the staff members and rangers. 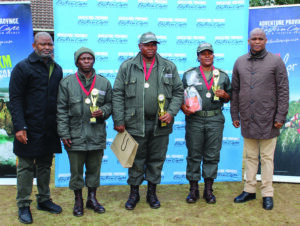 They raised awareness about the dangers of the trade, and most important gave thanks to the committed and brave men and women watching over the Eastern Cape’s natural assets. 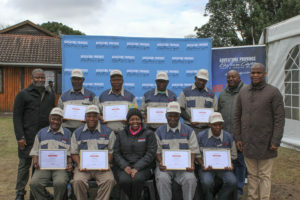 Special appreciation was given to the retired field rangers who were in attendace on the day, to remind them that they are still a big part of the ECPTA’s family. They help with the current generation of field rangers, with life-saving information about the job and daily precautions to ensure they make it home safely. The retired rangers wore khaki and blue caps and shirts, as opposed to the active members who were dark-green-clad. The ECPTA’s Dayimani handed over certificates of service to the elders, as a token of appreciation for their longstanding commitment. A number of other achievement awards were handed to members who showed bravery, and a variety of athletic feats that members had to dig deep to achieve. Special mention was made, to encourage the women on the ground to stay strong as they are. There are not many women field rangers, and the ECPTA hopes that the growing trend of women involved will match and perhaps surpass the men who are already field rangers. our natural world,” said Dayimani.